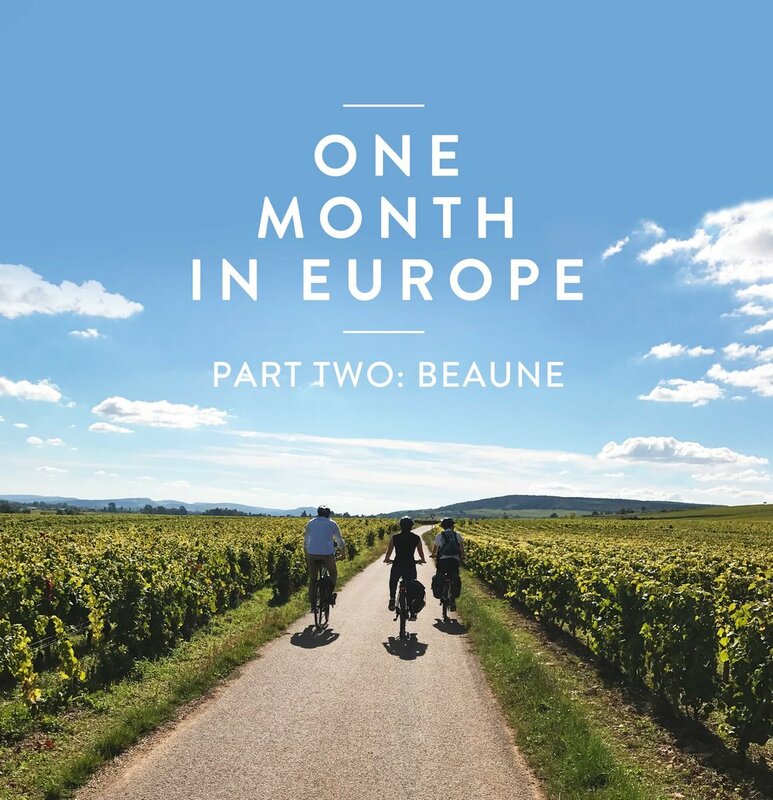 From Paris, we made our way to Beaune, about a 2 hour train ride from Paris. 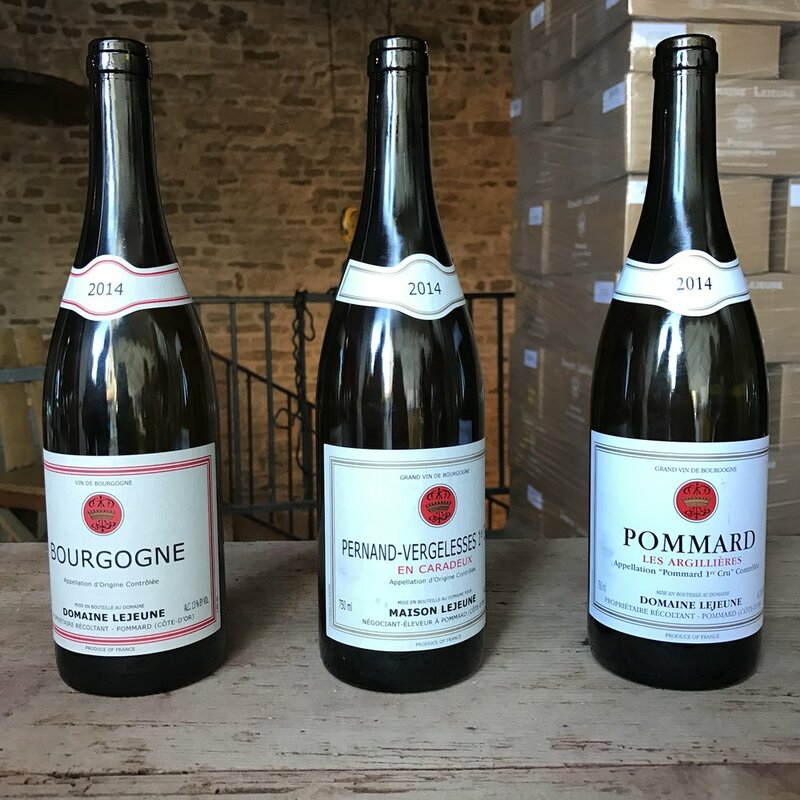 We wanted to explore the Burgundy wine region and get a different taste of France that was a bit more out of the city, and this was the perfect place to do it. 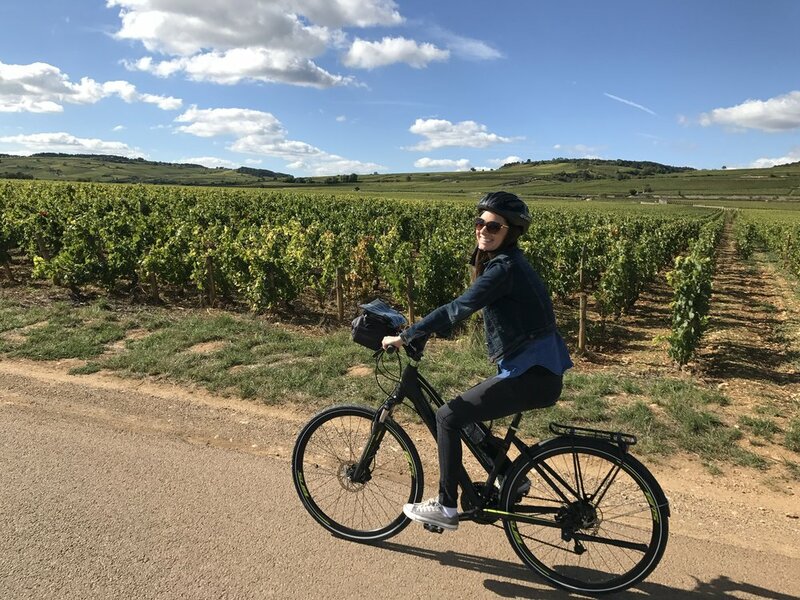 One of my favorite parts of Beaune was the Bourgogne Evasion half day bike tour we did through the region. We were lucky to get last minute tickets the day before. 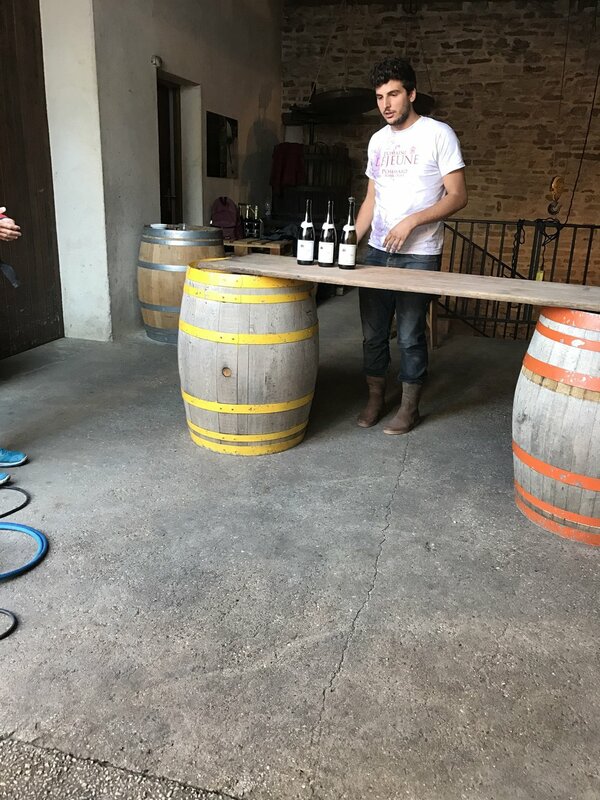 Before we left, Chris (to the jealously of the other men around us) asked if they had any vintage wines in the cellar to purchase. They did, and we were fortunate enough to take it back to our Airbnb with us. (Also, just an FYI, riding a bike somewhat tipsy is fun but also semi-dangerous). We stopped at a local store, bought some paté, bread and meat and paired it with our wine. One of the best meals! 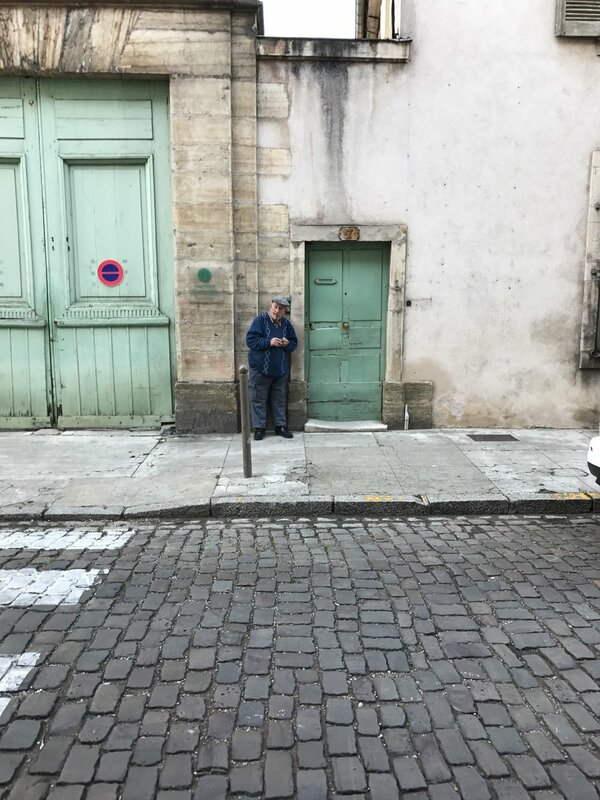 Our Airbnb was on a really beautiful street, and the most adorable man lived across from us. He would pop out now and again to smoke a cigar, and I couldn't help but think he was the cutest. Had to grab a capture of him. The streets and surroundings of Beaune were very white and rustic, filled with locals and very quaint moments to take in, like this dear lady trimming flowers outside of her home. 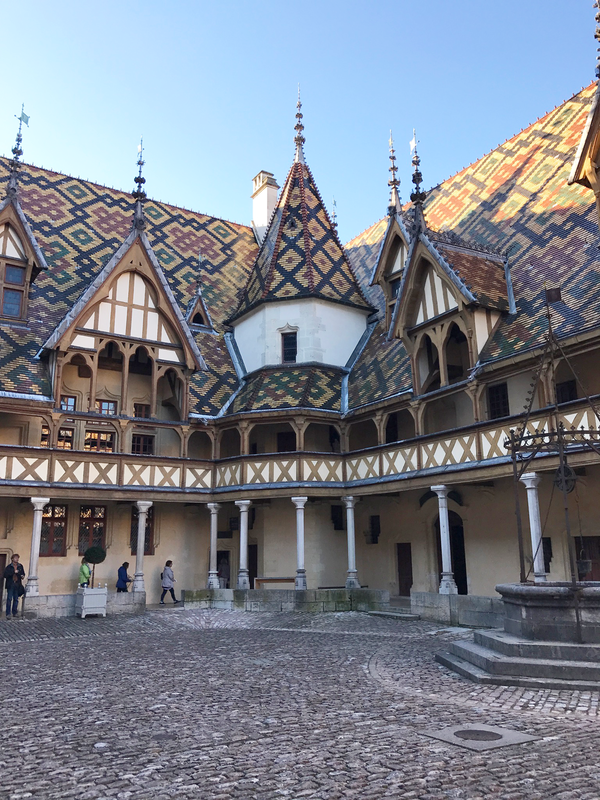 Another area we explored in Beaune was the Hospices de Beaune. When in Paris, our bartender recommended it to us, so we thought we'd give it a shot. The gothic architecture was stunning, intricate and unique. However, I wish I loved the tour more. To be be honest, going through sort of brought me down. We looked at old hospital beds, an old kitchen with medicine jars, and then I sort of wiped it from my memory. However, if you do more research on it, there are a number of interesting stories to be told if it suits your fancy. I just wasn't there. That's it for Beaune! It was a quick stay and a great taste of France from a different perspective. Our next stop: The French Riviera.